Looks as though UFC president Dana White has had enough of the trash talking by boxer Floyed Mayweather, and has now officially made an offer that could generate $50-100M for each fighter with sign on contract and ppv shares. “I’ll tell you what Floyd, here’s a real offer and I’m the guy, I’m the guy that can actually make the offer and I’m actually making a real offer. We pay you $25 million, we’ll pay Conor $25 million and then we’ll talk about pay-per-view at a certain number. There’s a real offer,” White revealed. 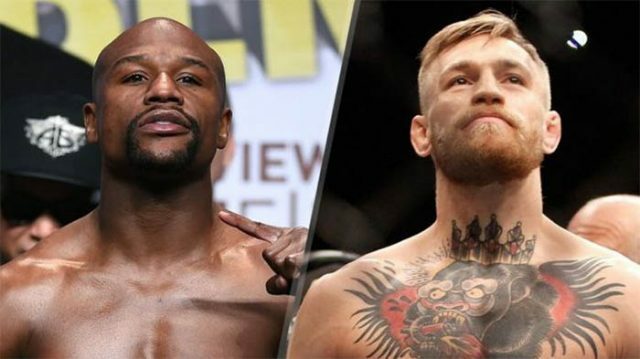 Mayweather whos ego is still one of the most massive on the planet, stated that he was the bigger draw in the fight so he would receive the lion’s share of the profits up front, but White scoffed at that idea after the numbers the retired boxing champion returned for his last bout.